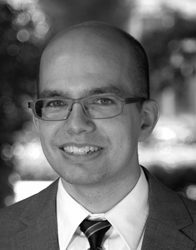 Jonathan Hall is an applied microeconomist who focuses on urban transportation. His recent work has focused on how to design road tolls so they help all road users and measuring the effect of Uber on public transportation. His dissertation was honoured with the Best Dissertation Award by the Transportation and Public Utilities Group and the Best Paper Award at the Kumho-Nectar Conference on Transportation Economics. Professor Hall received his B.A. from Brigham Young University and his Ph.D. from the University of Chicago. Further information on his CV and research papers can be found on his website.